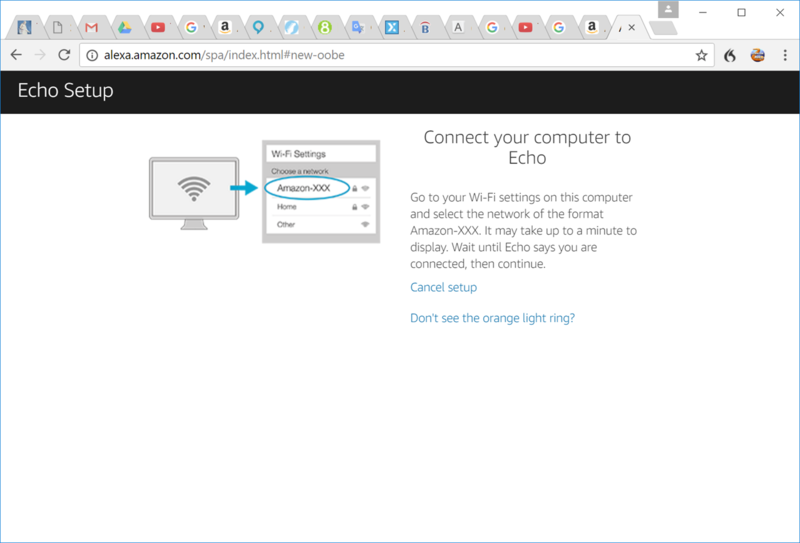 How do you set up Amazon Echo (Alexa) from an ethernet-connected desktop PC? I'm trying to set up a new Amazon Echo with the Alexa web app but I'm not sure what to do next. 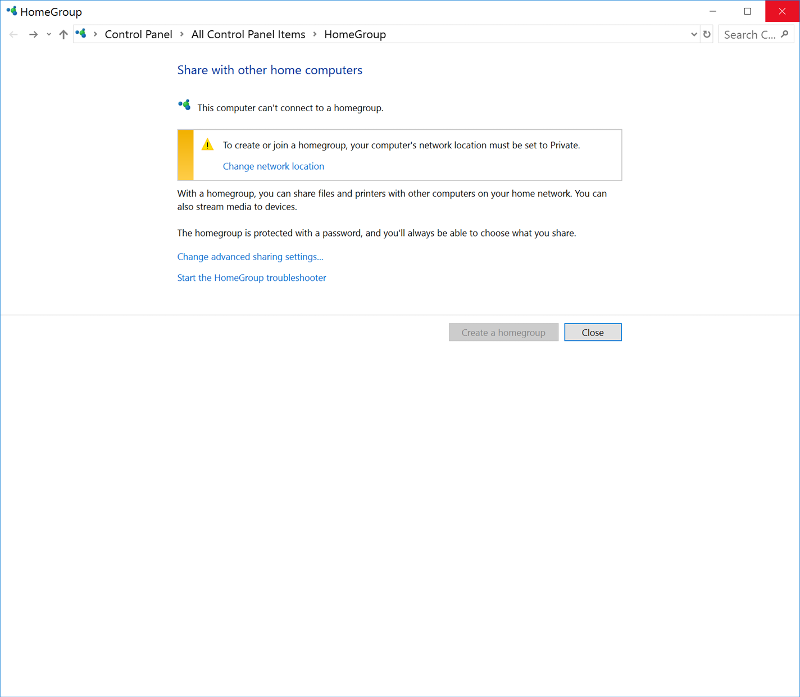 I'm running Windows 10 on a Desktop PC with an ethernet connection to the Internet. I do not have a mobile phone but I do have a Wi-Fi signal which I use with my laptop. Am I even in the right neighborhood? 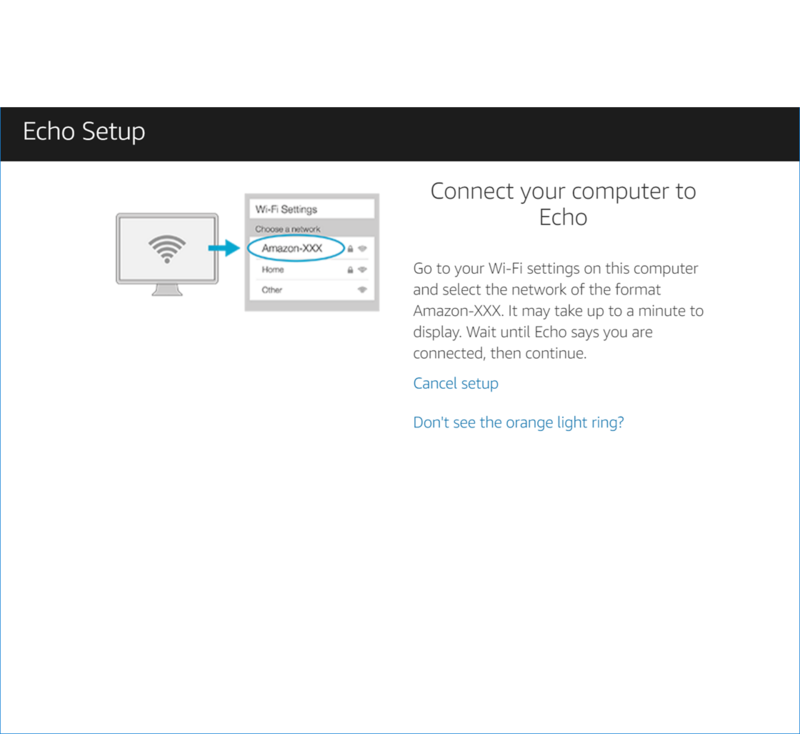 Edit: Right now the Echo light ring is flashing purple. 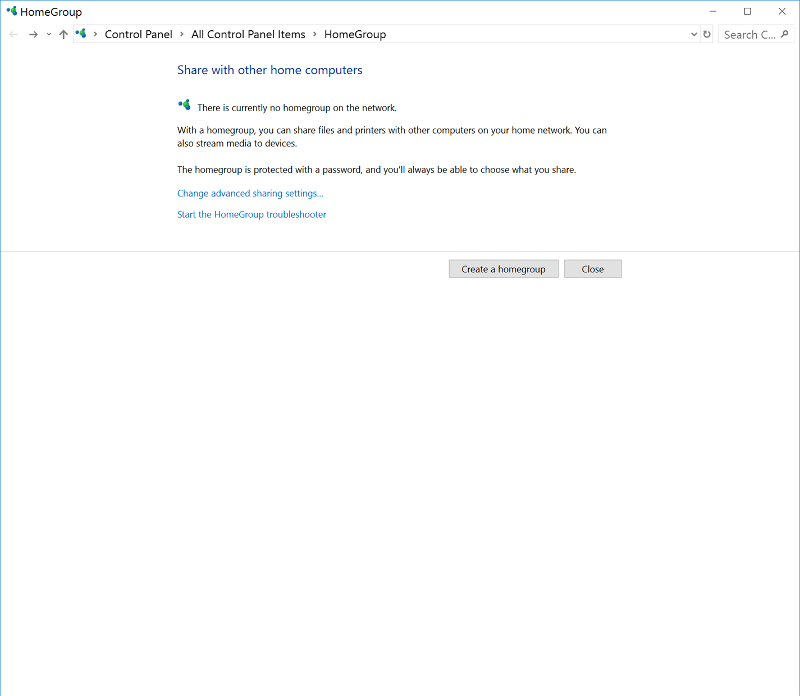 Also, I do have a password for connecting to the Wi-Fi but I have not seen a screen which asks for it. You really ought to do this setup on your laptop because it has wireless. The instructions are for connecting its wifi directly to the Alexa.